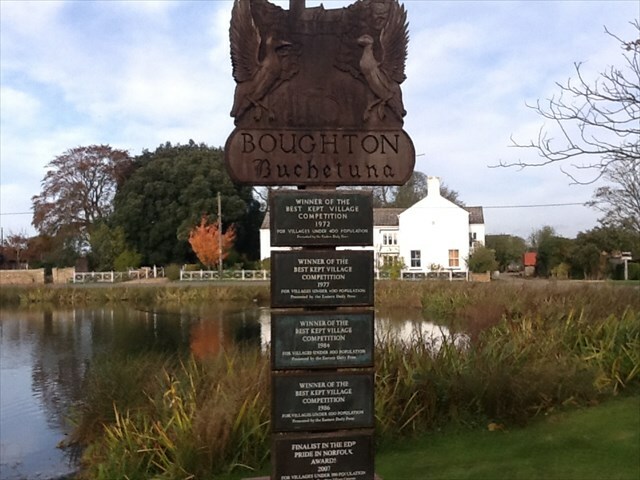 Boughton is such a pretty little village set around a pond which is kept very neat. Be warned that you will soon be surrounded by ducks looking for food.The Pond (or Pit) has been the centre of village life in Boughton for many years. Initially used for grazing cattle and a source of water, it is now THE beauty spot of the village and is often photographed .